Netfunda Technologies realizes the importance of core functions that you perform day in and day out. These core functions are not unknown but rather what is unknown is a better , smarter and more efficient way of discharging those functions. OneClickBill offers a menu of core features for your finance department to make short work of an otherwise tedious function called billing. The OneClickBill dashboard provides you with valuable insights on each subscriber. Keep track of sales accruing from each subscriber over the last six months. Analyze data on the past and plan for the future accordingly.Know what your audience expects of you. Get product wise sales figures, insights on customer responsivity to promotional pricing, coupons and discounts.Sell smartly. OneClickBill allows you to simplify the delivery of large projects into phases. Monitor progress of projects through different phases and maneuver your sales efforts accordingly. Organize client information and follow up on individual projects precisely. How regularly do your customers ask for estimates? Number crunching is not an abstract. but insights derived from numbers depend largely on the ease and simplicity with which you create and send estimates. OneClickBill allows you to create and communicate sharp and elegant estimates. OneClickBill eases workload allocation among your staff or team members. You can create access controls to the degree that you want them to share information. Formulate permissions for your staff members. Let there be light.let there be enlightened democracy but on a need to know basis. OneClickBill adds to your convenience in the execution of recurring billing and payment by enabling you to manage all your vendors form a centralized platform. Create custom fields for each of your vendors, fill in details like organization name, contact details, payment and outstanding details, products and volumes, etc. 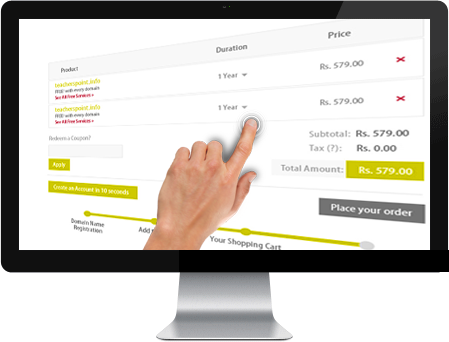 OneClickBill adds to your convenience in the execution of inventory management. Create a database for product lines,respective volumes and credit notes like apply credit,edit credit fields, add new credit fields, credit refunds, reverse logistics and delete credit notes. Asa service provider you run multiple plans to cater to the requirements of a vast variety of segments. Your success lies in being flexible enough allowing customers to change their plans from time to time. The trigger movement for plan upgrades and downgrades may come from directly from your customer or as an induced behavior At the crucial juncture when your customers switch their plans are you ready to make the corresponding adjustments to your invoicing process. The challenge is to update the billing record of the concerned customer without losing data on billing done so far. OneClickBill makes it simple to move customers from one product to another, with or without prorated charges. “Would you like french fries with the order?” Your subscribers want add-ons from time to time. They may want to move up from an existing subscription plan of basic service offerings to some customized value additions. The chef in you can personalize the pizza topping while serving the same dough. It is the topping that upgrades the product, not the dough. Explore rich cross-sell opportunities with your subscription products. Would you like to offer cross-sells or add-ons to your service that occur as either additional recurring billing amounts or as one-time purchases? Add on billing features include service or product detail page, interstitial/dedicated page and shopping cart (within or below order contents). What do you serve your customers?– the -in-house menu of staple diets or a customized menu? Test cross-sell and add-on products and pricing. Configure and bundle them with subscription in seconds. Decide the best method of encouraging your subscribers to opt-in to other products and services and increase your revenue per order. Create an add-On item in OneClickBill. Describe your add-on offering, price, and default quantity. Your subscribers can now choose to purchase add-on products or services along with their subscription plan. Your subscribers select the plan that is perfectly tailored to suit their needs. Your customers can also add or remove add-Ons after subscribing. OneClickBill will do the proration of mid-period payments, customer email confirmations and account updates to your system. Subscription providers generously use coupons as part of their marketing campaigns to build customer loyalty.The complexity that is associated with coupons unleashes multiple challenges for the finance department. Plus using multiple applications for providing the interface between sales and finance departments only leads to sub optimization on accounts of costs, resource engagement and time. Use coupon codes to attract new customers and build traffic. You can issue coupon codes to new customers at the time when they enroll themselves into your subscription management system. Create a database of coupons issued to customers and categorize them. Now follow up the billing process effortlessly for every transaction. Why rely on intuition to decide what price is best for your product or service? Define different price levels and test prices to search what price is best for you. Split price testing is especially important in cases of new product launches when you cannot rely on experience. Define the time frame for each coupon and discount prototype. The automatic billing system uses filters that have been defined by you to decide which customer gets what.Coupon billing is thus executed by OneClickBill like a semi permeable membrane. There are product categories that need promotional pricing and offers while others do not. Even the promotional tool varies for each product category.Customize product types that are eligible for discounts and discount type applicable. Unlock the beasts of your marketing and sales wizards to configure and run their own promotions without development dependency.